Everyday Efstratia and Irini take a gentle stroll along the beach from Skala Sikamineas. 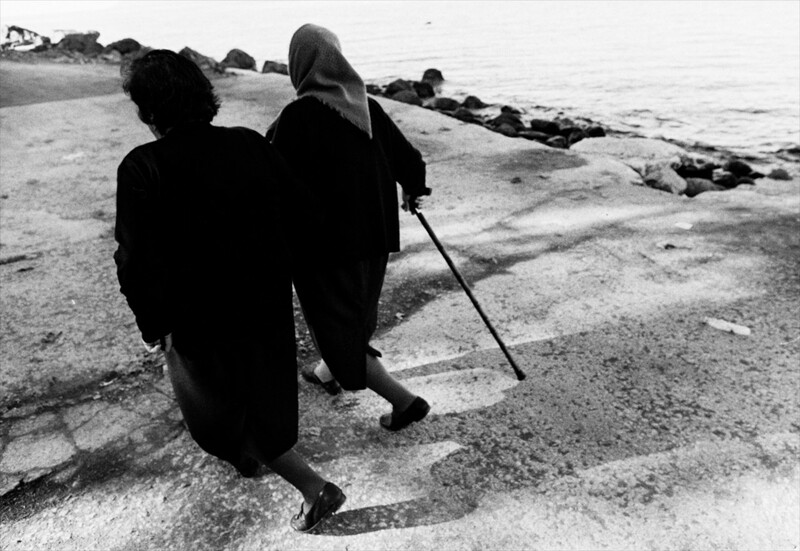 Dressed in black, the two ladies, both widows in their 80’s, walk arm-in-arm, chatting as they go. They have done this walk for years, but things are different now. Now each day as they walk along the seafront, they are passed by hundreds of refugees who’s boats have arrived on theses once sleepy shores. So now, each day, Efstratia and Irini stop at a small transit camp on their walk, to welcome the newly arrived refugees. Especially the children – scared, cold and wet – who they hug and comfort. Their warmth and compassion is so visible, and yet there is a sadness to these two old ladies. Skala Sikamineas is no stranger to refugees. In the 1920’s made fled Turkey to Greece during the Greco-Turkish war. 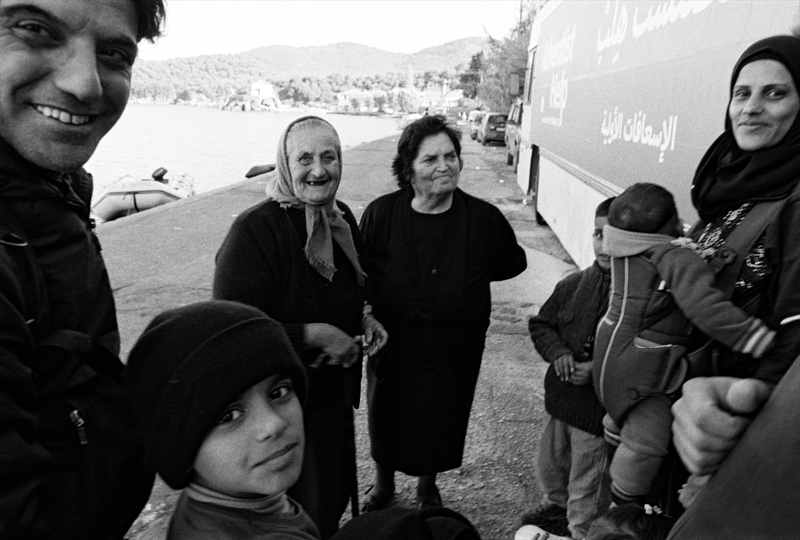 Eighty percent of the village’s inhabitants are direct decendants of refugees themselves, including the mothers of Efstratia and Irini. Which is why their eyes carry such sadness.